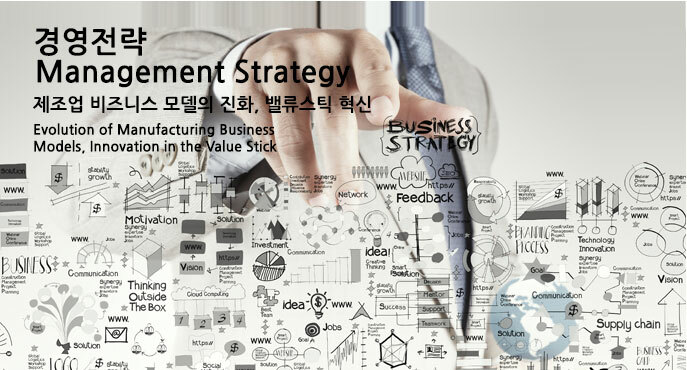 "Business Model Disruption… Innovation 101"
"Business Strategy Chronicle: Trade-off or Innovation"
"Korea's Strength in Innovation; Coming from being a Melting Pot of Global Innovation"
"Suggestions on Esecution Strategies for the Value Stick Innovation of Korea Companies"
"Business Model Evolution to Be Brought About by Value Stick Innovation"
"Convergence and Business Model Tranformation based on Open Innovation"
"SAP Insight Sharing: The Present and Future of Global Innovation"
"Examples of Value Stick Innovation & Business Model Transformation"
"New Roles of Korean Finance for a Creative Economy and Innovation"
"Introduction to a Creative Model of Futuristic Investment: Convergence Finance and SocialCcapitalism"
Yu-Sin Jeong / CEO, Korea Venture Investment Corp.
"Applications of Evergreen Investment: The Management Philosophy and Achievements of Droege Group"
* Moderator: Yu-Sin Jeong / CEO, Korea Venture Investment Corp.
"Definition, Significance, and Success Cases of Social Capitalism"
"Latest Trends in Sustainable Investment Models of Advanced Financial Circles"
"Potential of Social Capitalism from the Investment Perspective"
"Significance and Potential of Social Capitalism in the Korean Financial Sector"
"Cases of 'Germination' of Social Capitalism in the Korean Financial Circle"
"Flow of Process Integration of the Startup Investment Ecosystem and a Shift into a Trend where Active Support is Provided for Corporate Growth"
"Roles and Philosophy of Siemens Venture Capital as a Long-term Growth Partner"
"Roles and Philosophy of Asset Management Ventures as a Long-term Growth Partner"
"Roles and Philosophy of Storm Ventures as a Long-term Growth Partner"
"Accelerator Roles pursued by Fast Track Asia as a Long-term Growth Partner"
"Potential and Opportunity in Vietnam Development Market"
"Myanmar ICT Industry, Now and Future"
"Opportunity and Strength evolved from Primary Industry in Vietnam"
"Hyper-Connectivity & Convergence: the Opening of the Era of Hybrid Media"
"Mobile Encroaching TV: the Emergence of Real-Time Marketing"
"Interative Video Marketing in the Era of Screenagers"
"A Change of the Media Ecosystem and the Success Formula for Business Marketing"
"Convergence Media Ecosystem and Future of Corporate Communication"
"A Change of the Media Ecosystem and the Innovation of the Traditional Media"
"The New Wave of Global Journalism"
"Challenges and Opportunities for Media Contents: a New Change of Publishing Contents"
"Opportunities to Bridge the Knowledge-Practice Divide within the Blogsphere"
"Accelerating Innovation and Change: The Role of "Sustainability"
"Accelerating Innovation on the Global Stage: The Importance of Open Collaboration"
"Marketing Big Data: New Attempts at Advanced Analytics of Consumer Behaviors"
"Evolution of Enterprise Management Systems: Securing Real Time Business Intelligence"
"Energy Big Data: Application of Big Data to Practical Use for Improvement of Utility Efficiency"
"New B2B Branding Strategy: Share Social Benefits"
"Innovative Ideas: Building Games and Education: Creating Social Value through Connected Learning"
"Health Care Innovation with Connected Robotics"
"Future Prospects for Business Model Innovation (offered by the Inventor of Wearable Devices)"
"Sustainable is Profitable: How Innovating toward Sustainability can create Core Value"
Unlike other conferences hosted by domestic media companies, the plenary session of K.E.Y. PLATFORM presents vivid visuals showing various types of content developed through extensive research, providing the audience with intellectual inspiration as well as excitement. Following the K.E.Y. PLATFORM 2013 that drew extensive attention by presenting future prospect reports through surveys of global fund managers for the first time as a domestic media conference, the K.E.Y. PLATFORM 2014 also will present reports of in-depth studies on global innovation models at its plenary session. Also, the 2014 event will again provide the “Open Talk” with hidden gurus, which was very popular with the audience back in the K.E.Y. PLATFORM 2013. All participants in the conference including speakers and the audience will be able to have heart-to-heart talks with gurus through sophisticated video communication systems and SNS, transcending time and space. You will experience an evolving conference. The plenary session of the K.E.Y. PLATFORM 2014 starts with revisiting the history of innovation in industrial countries around the world, including the US, the UK, Germany, Switzerland, Northern Europe (Sweden and the Netherlands), China and Japan. We will look at how the driving forces behind the innovation that triggered the advancement of history were developed and applied, including the Industrial Revolution, and will examine as well their historical and common background for innovation DNA. This section will let you feel like you are enjoying a grand-scale film of history. Reports of results derived from coverage of and studies on global markets, industries and numerous companies carried out over the past year will be presented, including interviews of 100 global innovative companies. Presenters from MoneyToday Media, which led the coverage and studies, and the Korea Institute for Industrial Economics & Trade, the main partner, will provide organized and exciting presentations that will allow the audience to easily understand the gist and essence of the innovation processes in global industries and companies. K.E.Y. PLATFORM always allows speakers and the audience to explore and present strategies and alternatives together. It is not just about discussing the phenomena. In the K.E.Y. PLATFORM 2013, policy experts from the United States, Europe and China provided practical advice on future scenarios at the plenary sessions so that we were able to formulate specific strategies for responses. In the K.E.Y. 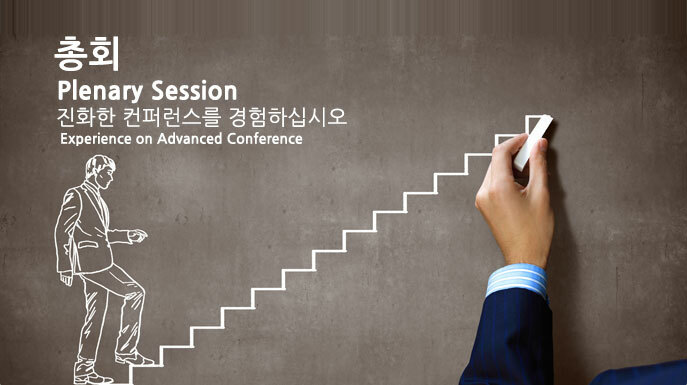 PLATFORM 2014, innovation policy experts from Korea, the US, Germany, Sweden and the Netherlands will participate in the plenary session and present methodologies and roadmaps for innovation, ones that are possibly at the center of such strategies. The global economic situation continues to be unpredictable. The U.S.’ QE tapering, weakening Japanese yen, and restructuring in China have led to the economic slowdown in the emerging economies such as Brazil, India, and Russia. The recovery of the European economy is slower than expected. It is very hard to find a way out of a low growth trap. Now, growth is no longer guaranteed through a simple factor input. Every company must work out a very complicated equation for its survival. However, the best opportunities are found in times of crisis. MoneyToday Media studied top 100 innovative firms that have overcome their limitations in this hard-to-predict world. What they have in common is the transformation into a flexible and fast-moving business model that is more market-friendly and more consistent in promoting cost saving at a sustainable level. They actively facilitate convergence in order to meet the needs of markets and do their utmost to quickly achieve R&D commercialization. In order to identify new customers and expand mutual relationship with them, they ceaselessly explore global markets. In particular, they have their own know-how in cultivating soft power in their organization, namely, A for agility, B for Boldness, and C for clarity for innovation. The K.E.Y. PLATFORM 2014 Strategy Innovation will serve as a venue where CEOs of innovation champions that have overcome limitations and created a better future can deliver their own know-how and insight by using the value stick framework. A single-bladed sword that is designed to cut only in one direction has an advantage in a battle where no shield is used. However, the future business environment is full of a myriad of shields and obstacles, where a double-bladed sword can be more effective due to its two sharp edges that can neutralize shields. In other words, the two blades, the demand and process on the value stick, need to be sharpened (or innovated) and you should be able to use them very skillfully. We are going to take a look at the business model changes that stem from the global champions-led innovation and identified through a value stick analysis. Furthermore, by reviewing the significance of such changes in the history of management strategy, we can acquire valuable information for future innovation. Global deleveraging and tougher regulations following the 2008 financial crisis have weakened the global financial industry. As the EU-wide crisis is subsiding and the likelihood of the United States’ QE tapering is rising, some signs of economic recovery are being witnessed. However, the regulations devised for the past five years dubbed as ‘the New Normal Era’ are starting to affect the global markets. In most areas, including commercial banks, investment banks, alternative investors, and insurance and settlement services, the paradigm of the Bubble Era is of no use any longer. As a result, all of the financial institutions in the world are focusing on enhancing profitability and are working hard to find a new paradigm. In the process, they should be reshaped to curtail costs, manage risks in a transparent manner in accordance with new regulations and restore confidence by adopting a new business model that promotes co-prosperity with other industries. In the process of contacting and studying the top 100 innovative companies in the world, MoneyToday Media was also able to see the possibility that new financial business models may emerge. One of them is a partnership-based finance model that is grounded upon the long-term vision of investment targets. The ‘Evergreen Investment Model’ offers a convergence-based partnership that promotes both long-term investment and strategic advisory services. The other refers to a scheme where an integrated risk management system featuring low costs and high efficiency is set up by applying open-source and cloud computing technologies to financial risk management. A risk management system is required in this new economic era. The existing system is reused by employing open-source technologies without making massive investment in IT systems, making it possible to analyze risks in real-time through cloud computing technologies. Finally, this paves the way for investment companies to be established through a low-cost and high-efficiency system. Now is the time to meet professionals who are deemed to have democratized the global financial industry characterized only by capital strength. The Evergreen Investor system is based on a convergence-centric operation philosophy characterized by a long-term investment and the delivery of strategic advisory services to firms that need innovation. It also evaluates the nature of social contributions included in the ideas of innovative firms, helping them implement their policy. This serves as an opportunity to learn a new finance paradigm that they offer. The 2018 Global Scenario presented at the “K.E.Y. PLATFORM 2013” forecasts that the value-based consumption would make it harder to make inroads into the advanced markets. It advised us to find emerging markets characterized by the younger population, high consumer spending, and homogeneous consumer groups. The K.E.Y. PLATFORM 2014 selected emerging markets featuring the above characteristics and a highly favorable attitude towards the Korean Wave, naming them “M.V.P”. The “M.V.P.” stands for Most Valuable Partners or the initials of Myanmar, Vietnam, and the People’s Republic of China. The importance of China cannot be overemphasized. All of the innovative firms regard the Chinese market as their future target. In particular, we should put more emphasis on western and southern China than the east coast of the mainland that has continued to grow to even outperform the Republic of Korea. Myanmar is a hidden treasure that is newly emerging. It is the main target of the Pivot to Asia strategy that U.S. President Barack Obama is promoting in his second term. Initiating democratization, Myanmar is coming back to the international community. Vietnam is also showing signs of economic recovery after a long period of slowdown following the 2008 financial turmoil. Above all, more than 50% of its population consists of the younger generation. In particular, special attention should be paid to female consumers who have already been positioned as a key group in the market. To this end, the “K.E.Y. PLATFORM 2014” prepared a session where experts and business leaders with global insight from these three nations will present cooperation models and discuss ways for mutual growth with other participants. The volume of trade between Korea and China has snowballed into a record high, but the relationship between Chinese media and Korean firms is still far from satisfactory. Against this backdrop, it is very hard to advance into China’s inland cities that are newly emerging. Editors-in-chief of China’s five largest portals will present strategies for successful crisis management and marketing communication. Young and vibrant workers are well positioned as key consumer groups in Myanmar and Vietnam. Taking into account the Korea premium from the Korean Wave, now may be the best time to make inroads into these emerging markets. Business leaders of global firms operating in these two Southeast Asian nations will provide strategies for further developing Myanmar and Vietnam as not only new target markets but also as partners in globalization. With the opening of the mobile era at the speed of LTE, there have been dramatic changes to how we use the media. Mobile devices are deeply rooted in the lives of users as a core media device, and with the development of the streaming technology, users who simply enjoyed music are now plunging into the world of mobile videos. At the center of all of this, there is what we call screenagers (a compound word for screen and teenager), who spend much of their time staring at the computer screens. As screenagers are soon expected to be the majority of the media market, the situation is looking dire for the TV-centric one-way video service because screenagers do not sit back passively and take in images. Not only are they familiar with VOD, they record, edit, and even curate freely using various mobile applications and post them via SNS. Twitter’s Vine and Facebook’s Instagram are two examples. For the next five years where screenagers will be the trendsetters, the media content market itself is expected to undergo a complete reform. Due to a mobile device’s nature of being personal, there is no other choice but to create and provide both content and services in consideration of the target. Going beyond, the winner of this competition will be the companies that can accurately analyze real-time data on their usage records and respond quickly. In the face of environmental changes, how should traditional media companies react? What is the correct equation for business communication in the age of interactive-based media 3.0 and the mobile era? How should the existing business models in the media industry change? With experts from different fields and various places, we will better forecast the future and seek solutions together. No need to talk about the next five years. The media environment that rapidly changes each year will greatly affect business communication strategies as well. Big data analysis has now become basic infrastructure. Let’s hear about the three-dimensional strategy on how we can constantly provide desired messages by tracking movements in real-time and being ahead of the crowd. Due to environmental changes, changes in the value chain of the media industry are also inevitable. There will be a shift of power among content providers, platforms, traditional TV media, journalism, advertising agencies, and media technology companies. Ideas will be gathered on how the topographic map of the media industry will change and what sustainable growth strategies are available. If so, what is required for “Innovation?” The key to innovation is “The Willingness to Change.” You must set a clear goal and carry it out while envisioning the specific outcome. Individually, one would be an innovation power supply and the other would be a logic circuit, and we all know that a computer does not work just because it is turned on and the logic circuit is running. Similarly, for innovation, we need software (detailed ideas) to fill in the information. MoneyToday Media covered innovative entrepreneurs from the United States, the United Kingdom, Sweden, and Netherlands. At K.E.Y. 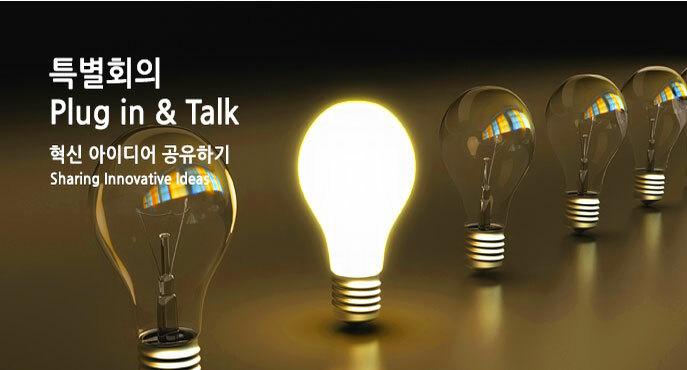 PLATFORM 2014, we want to analyze their common strategies to innovation and convey them to the Korean business community who are eager to innovate. It will be a chance to hear openly about the source of ideas and practical steps to innovation from the innovative global leaders. Through this opportunity, we hope that your yet dormant ideas will be able to actually sprout. 1. Formulate Creative Growth Strategies using "Sustainability." In this Post-New Normal Era, innovative global companies have taken issues of sustainable management as their new strategic goal, such as “Eco-friendliness,” “Alternative Energy,” “The Universal Quality of Life for Humankind,” and “Ecosystem-friendly Business,” etc. Let’s hear the reasoning behind the sustainability argument and how it can become a growth opportunity in the global market. 2. Be a "Creative Minority" who has Access to the Global Innovation Network. “The “Only One” strategy does not refer to an “Only One Person” strategy but an “Only One Team” strategy. In order to solve a complex problem creatively, a unified mind is necessary. To achieve such one mindedness, we must put behind ethnicity, race, age, and major. We need to be open-minded to come up with a creative solution, and connect to the global network to be the Only One. This is your chance to hear about open innovation from a small but powerful company which has achieved amazing growth and innovation.